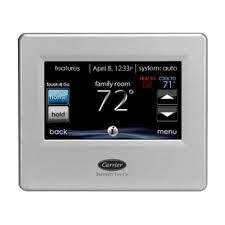 This amazing product saves you hundreds of dollars on your heating and cooling bills! 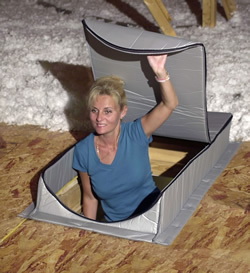 The Attic Tent is a specially engineered, patented insulator designed to create an air transfer barrier between your attic and living areas. It is a practical and economical solution to a problem that has existed since homes were first built with overhead attic entries. That problem is wasted energy through and around the attic door and stairs. Ask your Spencer Technician about how an Attic Tent can start saving you money today! The Air Knight is designed to eliminate sick building syndrome risks by reducing mold bacteria and viruses. 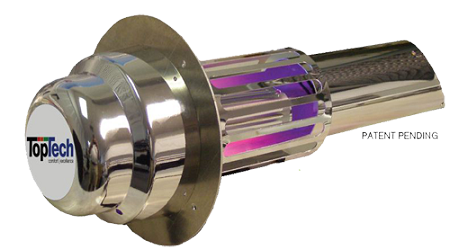 As well as odors, air pollutants, VOCs and smoke. Additionally, the Air Knight REME difference is amazing. Adding particulate removal combined with reducing odors, air pollutants, VOC’s (chemical odors), smoke, mold bacteria and viruses. The Air Knight REME is easily mounted into the home’s air conditioning and heating system air ducts where many indoor air quality problems start.